"We recognize that athletes are simply different compared to the general population from a cardiac perspective," says Dr. Jonathan Kim about the individualized care he provides. Emory Saint Joseph's Hospital welcomes sports cardiologist Jonathan H. Kim, MD. The recently recognized sub-specialty of sports cardiology is rapidly growing worldwide. Kim is the first sports cardiologist in the Emory Healthcare system and the only specialist in Atlanta to launch this practice, which focuses on evaluating and treating cardiovascular conditions specific to athletes of all ages and levels. According to Kim, patients include both high school and college students, professional and recreational athletes, as well as older and master athletes competing in various sports and athletic activities. "We recognize that athletes are simply different compared to the general population from a cardiac perspective. Symptoms, such as chest pain, may mean something very different compared to chest pain in a non-athlete. Intense exercise also causes normal changes in the heart and because of this, strategies for treating heart conditions in athletes may be different or altered," Kim says. "Certain cardiac treatments or medications may be standard for the general population, but may have side effects that limit athletic performance or even preclude athletics if utilized," he added. Kim says that one critically important task of the sports cardiologist is to identify athletes at risk for sudden cardiac arrest. "In a minority of athletes, exercise actually increases the risk of precipitating a cardiac arrest. This is because there are some cardiac conditions that can be present, but without symptoms. Although rare, in some cases, exercise can actually increase the chance of a cardiac arrest. Our job is to help identify these athletes before they are allowed to compete. Additionally, we want to limit unnecessary testing and stress on athletes who are incorrectly identified as potentially having cardiac disease." Kim's role as a sports cardiologist includes a significant research focus within exercise physiology and sports cardiology. His sports cardiology research background is diverse and he has published work ranging from the effects of exercise on the heart's structure and function to a current project that is evaluating blood pressure changes in football players. He has also published work evaluating sudden cardiac arrests in long distance running races, which was published in the New England Journal of Medicine in 2012. Clinically, Kim also works with the Atlanta Falcons, as well as college athletes from the Georgia Institute of Technology and Emory. He is the Team Cardiologist for Georgia Tech Sports Medicine and also conducts a majority of his research with the Sports Medicine staff at Georgia Tech. Kim is also one of the assistant medical directors for the annual Peachtree Road Race™ in Atlanta. Kim is an Assistant Professor in the Division of Cardiology at Emory University. He received his Bachelor of Science in Biology at Emory University. A Fulbright Scholar, Kim earned his medical degree from the Vanderbilt University School of Medicine. He completed his internship and residency in internal medicine and pediatrics at the Massachusetts General Hospital/Harvard University, followed by a fellowship in general cardiology at Emory University. 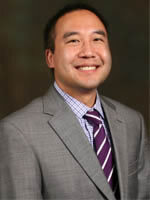 In addition to his clinic and research interests, Kim serves as an adjunct assistant professor in the Division of Applied Physiology at the Georgia Institute of Technology. Kim's clinic is open for three half days each week at Emory Saint Joseph's Hospital. For more information about the sports cardiology clinic, please call 404-778-6070.